Most visiting London have a hit list of tourist attractions and overpriced restaurants dotted around Central London to squeeze into a long weekend. If you want to spend most of this time queueing, dodging selfie sticks, battling crowds and paying over the odds, that’s cool. The alternative? The lesser-known thrills of South East London. 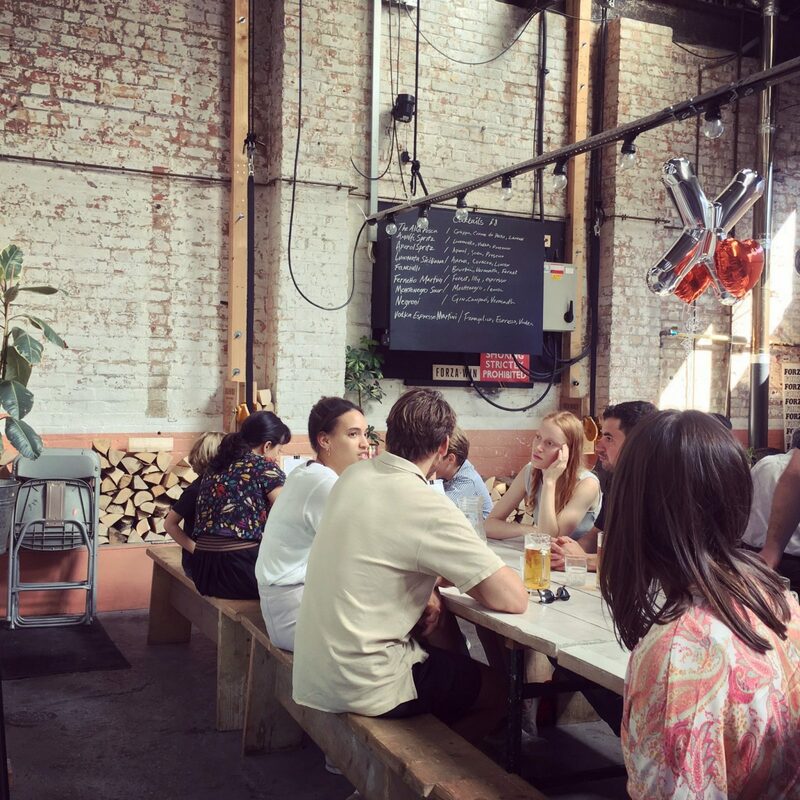 Peckham is an area that in the last few years has had a new lease of life. A hipster resurrection if you like. The artists seeking cheaper rent and green spaces moved in. With that came new businesses, cafes, vintage shops, exotic eateries, enough bars for a pub crawl and undoubtedly London’s best rooftops. Only fools would disagree. The locals haven’t gone anywhere either. Peckham has a split personality. On one side the flat white drinkers and craft beer makers and on the other the African community at the heart of the areas welcoming personality and character. Rye Lane is full of glorious smells wafting all the way down to Peckham Rye Park. They complement each other by providing a smorgasbord of places to eat and drink. Head there on a Saturday late morning, when the place will be buzzing with people going about their business. At this time of year start at the park end of Rye Lane. With a coffee from Old Spike Roastery, not only great coffee but also a great cause. They help homeless people get off the streets by training them to be Barista’s and providing them with the people skills they need to get back into work. A couple of doors up is Pedler, the cutest restaurant South of the river where they had a neon flamingo before the tropical décor hype began. Grab a sheepskin covered bench outside and order a brunch plate as well as a cocktail. Their food is perfectly formed and deliciously thought through. You will inevitably order a second cocktail, once you discover they are the team behind London’s little bird gin. Make mine with a slice of grapefruit, please. If you’re after something simpler and ultimately less boozy to soak up the TGIF drinks the previous night, head for no-frills café Jenny’s. A traditional greasy spoon whose décor has appeared in many a music video, most recently The 1975 ‘Somebody Else’. The sausage sarnie in white bread is hard to beat for £2.20. Now you’re nicely oiled the unofficial pub crawl can begin. Starting in The Rye opposite and working your way up to John the Unicorn (best pub name ever.) Interesting side note for those who like a bit of local history, the grass you cross over from Pedler to the pub used to be Peckham’s own lido, the fountain is still there to prove it. Following that waste the afternoon under the railway arches on Blenheim Grove. Bar hopping between local Brick brewery to a cocktail happy hour in Bar Story and as it gets a bit darker Peckham Springs round the back. They do a face screwing-ly good Amaretto sour. Probably in need of some more tucker by this point, as Del would put it. Carry on down Blenheim Road and to the right is Ganapati. This small South Indian restaurant looks pretty unassuming from the outside, but trust me when I say you’ll be hard pushed to find anywhere tastier. After a few beers it will hit the spot. If you’re in the mood to continue the party and take things up a notch head to a new kid on the block Peckham Levels. Tucked around the corner from independent cinema Peckham Plex where all films are the bargain price of a fiver. Don’t worry I haven’t lead you down a dark alley to an NCP. Peckham Levels have transformed a derelict car park into six levels of creativity including bars, street food stalls, event spaces and a dance floor with mirror ball of course. Before you go check out what’s going on at Bussey Building that night too. Originally an Edwardian cricket bat factory turned art studio, yoga venue and in the basement all-time good rave scene. If you are lucky to be there the same night as Soul Train and get ready for a boogie night of funk and flares into the early hours. Just don’t blame me for the hangover the day after. If you’re lucky enough to visit Peckham during warmer climes, follow the alley past Bussey Building into Copeland Park. There are a few drinking holes and must-eats here with people spilling out into the square to find a patch of sun. In the middle of the industrial landscape is Forza Win, tucked around the corner. An open-fired kitchen in a warehouse setting, with exposed brick walls half painted pink and half left in their original glory, and a few houseplants dotted about for good measure. The design and atmosphere of this place in the afternoon typifies Peckham for me. Friendly staff, good wine and a wonderful Italian menu. The ragu is to die for. One place not to be missed in the summer is Frank’s Café. The top level of the car park shared with Peckham Levels. Designed by local artists the staircase is entirely Barbie pink, everything from bannisters to fire extinguishers, all the way to the roof. This is where the real reason you need to visit is hidden. The view from the rooftop is the best view across London. On a clear day, the skyline boasts Canary Wharf over to the Houses of Parliament. Order their renowned negroni and turn your camera on to panoramic mode. Don’t forget to pick up a souvenir of your trip before you go. Tucked in old railway arches, old Victorian train station waiting rooms and hidden in Holdrons Arcade are small stores for skilled rummagers and those with a good eye. There are several food deli’s offering tastes from around the world. Like Persepolis towards Camberwell, a corner shop and café giving us a window into flavours from Persia. On Blenheim Grove, there is also Brickhouse Bakery selling fresh sourdough and local London products, as does General Stores who have recently launched their own wine subscription service if you are looking for a regular reminder of your wonderful Peckham experience. For those with a sweet tooth make a beeline for The Cinnamon Tree bakery with their homemade jammy dodgers and shortbread owls.